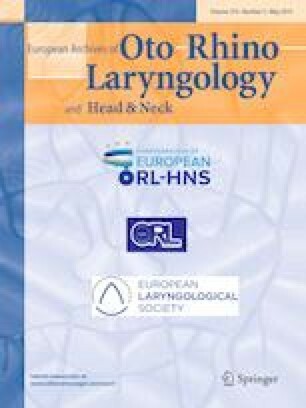 Laryngo-tracheal resections in the Nordic countries: an option for further centralization? We aimed to obtain information on the number of Nordic centers performing tracheal resections, crico-tracheal resections, and laryngo-tracheal reconstructions, as well as the patient volume and the standard regimens associated with these procedures. Consultants at all Departments of Otorhinolaryngology—Head and Neck Surgery (ORL-HNS, n = 22) and Thoracic Surgery (n = 21) in the five Nordic countries were invited (April 2018—January 2019) to participate in an online survey. All 43 departments responded to the survey. Twenty departments declared to perform one or more of the three types of tracheal resections. At five hospitals, departments of ORL-HNS and Thoracic Surgery perform these operations in collaboration. Hence, one or more of the tracheal operations in question are carried out at 15 centers. The median annual number of tracheal operations per center is five (range 1–20). Great variations were found regarding contraindications (relative and absolute) for surgery, the use of guardian sterno-mental sutures (all patients, 33%; selected cases, 40% of centers), prophylactic antibiotic therapy (cefuroxime +/− metronidazole, penicillin +/− metronidazole, clindamycin, imipenem, or none), post-operative follow-up time (range: children: 3–120 months; adults: 0–60 months), and the performance of post-operative bronchoscopy. Fifteen centers each perform a low number of annual operations with significant variations in the selection of patients and the clinical setup, which raises the question if a higher degree of collaboration and centralization would be warranted. We encourage Nordic transnational collaboration, pursuing alignment on central management issues, and establishment of a common prospective database for future tracheal resection surgery. According to Danish law, no ethical approval is necessary in questionnaire studies.